THERE was outrage across the community of Carn as it emerged that cruel thieves targeted a popular coffee shop in the centre of the town at the weekend. The burglary of Carn’s Caffe Banba, which occurred between Saturday night and the early hours of Sunday morning, has left the shop’s owners and staff upset and annoyed. 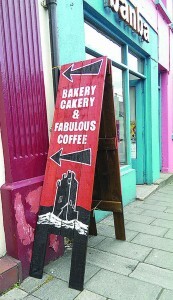 The robber stole a ‘small sum of cash and ten chocolate brownies’ from Caffe Banba before making their getaway. 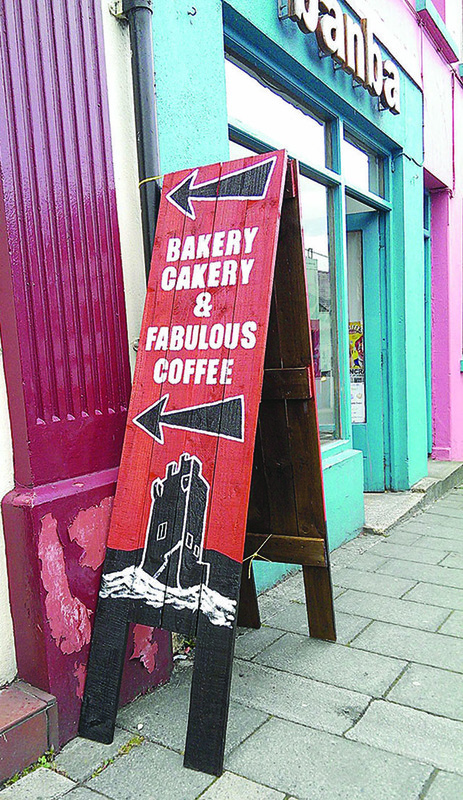 Dominic McDermott, Caffe Banba’s owner who also operates a mobile coffee van in Malin Head, said the robbery at their store has ‘made life so much harder’ and given them a ‘big knock’ and forced them to lose three days takings. “We’ve had to have the van off the road for two days and the shop closed for another day to get everything sorted,” said Dominic. The burglar entered the shop by smashing a small window in the back of the shop, broke into the staff toilet and bust through the door into the main shop.